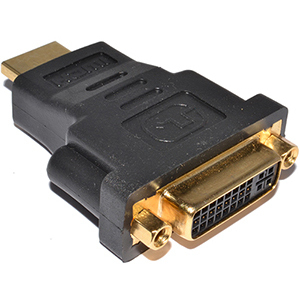 Connect HDMI enabled TV's and displays to your DVI system with 4XEM's HDMI Male to DVI-D Female Adapter (4XHDMIDVIMFA). 24K gold plated connectors deliver a superior and 100% compatible digital signal between devices with no signal degradation, no data or signal loss. 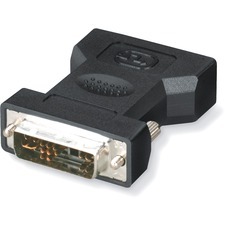 Support for DVI-D dual link and single link connection. 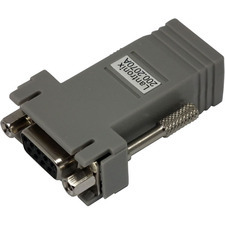 Perfect for use with satellite receivers/set-top boxes, LCD/DLP/Plasma HTDVs, DVD and more.Problem it solves: Convert DVI-D signals to HDMI with no worries. 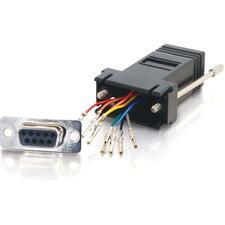 Allows for the use of HDMI-equipped components with a DVI cable.4XEM gear is respected industry wide for its high performance, premium quality and durability.